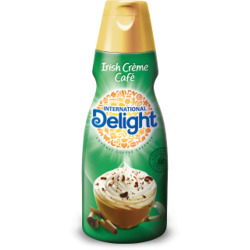 I have tried so many creamers and most of them don't come close to tasting as described. 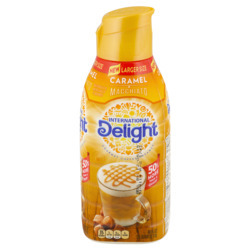 Then I tried International Delights Ameretto coffee creamer and found the one true to its description!!! 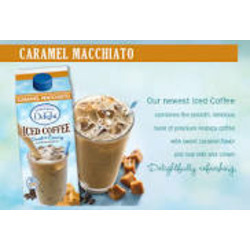 This was my all time favorite, but it's been discontinued. 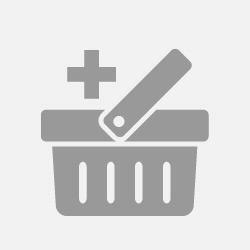 It would be awesome to have it brought back. 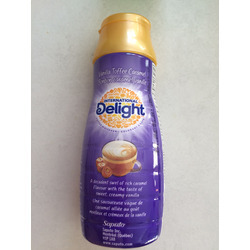 I've even tried another almond flavored coffee creamer, but the flavor just doesn't cut it. 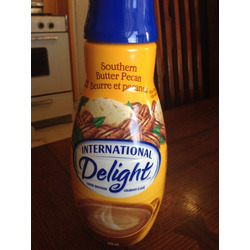 I loved International Delight One tough creamer. I tried the vanilla flavor. I like that it doesn't take much to add just the right amount of flavor and the froth is so much fun. It's easy to use and makes making a latte at home a breeze. 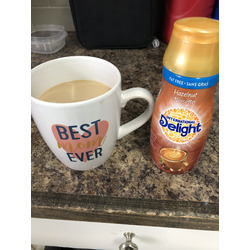 I used to drink my coffee with half a sugar until I discovered this amazing product...now I can't have my coffee without it! 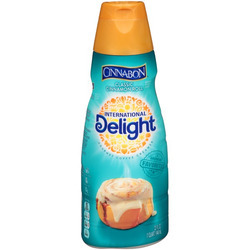 It's like having a cinnabon without all the added calories. 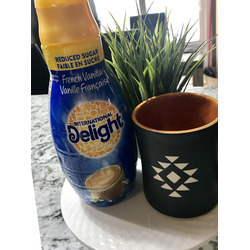 I absolutely love this creamer! Coffee just isn't the same without it. It's the perfect amount of sweetness and creaminess. We have to buy the family size, because in our house it goes fast.